Like most individuals who are sensitive to Spirit, I can look back at my life and remember events that happened to me, starting at the age of six. The turning point came when I had a near-death experience after having my large intestine removed and seeing the spirit of my grandmother. Having grown up in a Christian household, I started looking outside my faith to make sense of things I had seen, heard, felt and dreamt about. With my sister at my side, we visited mediums and had past-life regressions. I heard from more than one medium that those on the other side were trying to talk to me. I remember hoping that Spirit would get through somehow, but I didn’t go in search of it. Then one day, the spirit of a little boy made himself known to me and I realized in that moment that those mediums who had told me the dead were trying to communicate with me were right. I could communicate with spirits–both those that were earthbound and those that had crossed over, including my beloved grandmother who had come to me during my near-death experience and now helps me in my mediumship work. In a quest to learn, I talked to other mediums, read everything about mediumship I could get my hands on, read for friends and family, and signed up for Renee Madsen’s mediumship course at the NW Psychic Institute. 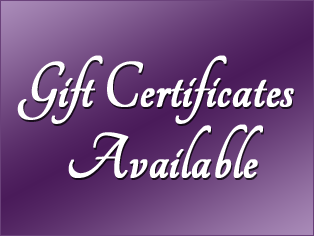 I received my certification in both channeling and mediumship from Renee, and then continued my education by receiving my advanced mediumship certification by world-renowned psychic medium Lisa Williams at the Lisa Williams International School of Psychic Development, and I recently trained with Tony Stockwell, another beloved world-renowned psychic medium. My goal is to never stop learning from mediums who I respect and admire. Furthering my education is a way to continue to serve Spirit, and I feel incredibly blessed to be able to connect clients with their loved ones on the Other Side.